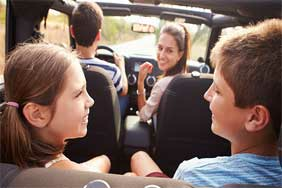 Motorists planning on driving abroad after 29 March are being warned they risk breaking the law unless they take action. Has the prospect of a no-deal Brexit affected your plans to drive abroad? Let us know in the comments and join the discussion! Anyone planning to take their vehicle to Europe after 29 March (the date the UK is due to leave the EU) is being urged to prepare for a no-deal Brexit. That’s because in the event of a no-deal, EU regulations state motorists need to carry proof of insurance with them in the form of a Green Card. 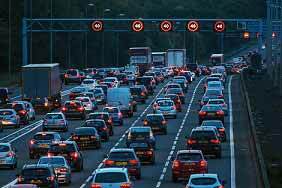 Drivers should obtain a Green Card from their insurer one month before they travel, warned the Association of British Insurers (ABI). Although European insurance authorities agreed to waive the need for Green Cards in the event of a no-deal Brexit in May 2018, this has not been confirmed by the European Commission. Therefore those who travel without one may be breaking the law. Given that Green Cards haven't been a strict necessity in Europe for some time, some drivers may be confused as to what they need to do. Anyone driving from the UK to mainland Europe after 29 March will be affected. 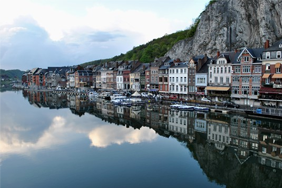 For example, Easter falls only a few weeks after the UK is scheduled to leave, a time when many people drive to the likes of France for the holidays. The rules will also affect people who drive across the Northern Ireland/Republic of Ireland border. And the same requirements will apply to EU motorists travelling to the UK. Read more: What's a Green Card? How many people drive between the UK and Europe? Huw Evans, director general of the ABI, says: "As it looks increasingly possible that a ‘no-deal’ Brexit may happen, we want all insurance customers to know the facts about what this means for them. "If you live in Northern Ireland and drive to the Republic of Ireland, or if you plan to drive your vehicle to mainland Europe after a no-deal Brexit, you will need a Green Card to prove you are insured. "You should contact your insurer before you travel in order to get one. This advice applies to businesses as well as individuals." 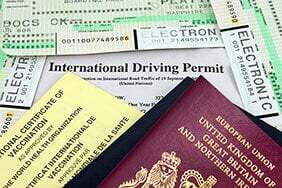 In addition to obtaining a Green Card, a no-deal Brexit may mean drivers heading to mainland Europe after 29 March are required to get an international driving permit (IDP) too. Currently, UK licence holders can drive in all EU and European Economic Area (EEA) countries. However, a no-deal Brexit could mean an end to this agreement. The UK issues two types of IDP, with a third type being launched on 28 March. The type of IDP you need depends on the country you’re driving in. Therefore, in the event of a no-deal, you should check which type of IDP you need to ensure that you have the correct one for your travels. If you do need one, the quickest way of getting an IDP is to visit your nearest IDP-issuing Post Office. 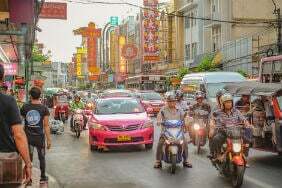 With the potential for a no-deal Brexit to cause disruption to some travel networks, holidaymakers are being reassured that travel insurance will continue to work in the normal way. That’s even in the event the European Health Insurance Card (EHIC) system isn’t replaced. Customers should carry their travel insurance documents or their insurer’s emergency medical assistance contact number with them, says the ABI. And in the event of severe disruption at ports or airports, airlines, travel agents or credit card providers would be the first port of call for financial compensation. 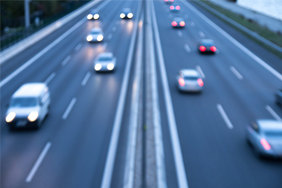 If these routes have been exhausted and you have travel disruption cover in place as part of your travel insurance policy, it’s possible that you will be covered against some financial losses. However this will depend on your policy so you should check with your insurer. Evans says: “Despite ‘no-deal’ uncertainty about the European Health Insurance Card (EHIC), I also want to reassure people that their travel insurance will continue to operate in the normal way when it comes to medical expenses, as emergency medical treatment is a standard feature. "Customers should always double check their travel insurance policy meets their full needs."